Recruiters and hiring managers play a very important part on iimjobs.com. After all, they’re the ones who help you move ahead in your career by helping you land a dream job. So what’s better than a recruiter who posts awesome jobs on our site? A recruiter that actively goes through resumes, takes an action and helps candidates know the status of their applications. And that’s why we’ve decided to feature 10 of these awesome recruiters on our blog each month and we begin the countdown with our Top 10 Recruiters for the month of January 2014! 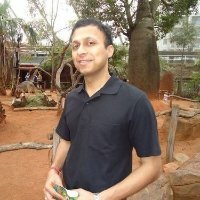 Prashantha is responsible for Executive and Lateral hiring at Accenture and has been one of the most active recruiters on iimjobs.com over the past year. He posted a total of 18 positions in the month of January alone! 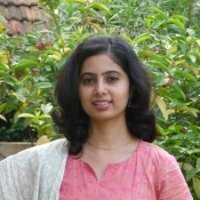 Joyburt is the HR Manager at ICICI Bank and is responsible for hiring for a wide range of positions ranging from Wealth Managers to Business Leaders for ICICI Bank. Tapesh is one of the core founding members of Palaash Ventures, an early stage Investment fund which focuses on investments across segments. Although Tapesh only posted 1 position, he is one of our rockstar recruiters for the month because he took the time out to take an action on almost all the 427 applications that he received. 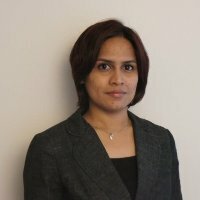 Parita is the HR at BMR Advisors, a services organization that offers a range of Tax, Risk and M&A advisory for businesses of all sizes. Although, she posted a single opening last month; Parita did make it a point to take action on that position along with earlier posted positions. 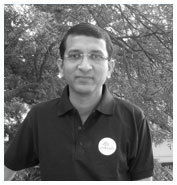 Shailesh is GM – HR at Times Internet Limited and has also done his PGDPM from XLRI, Jamshedpur. A senior HR leader with vast experience in Talent Acquisition, Shailesh took time out to review a vast number of applications that he received for positions posted earlier. Tonmoy is the Co-founder of Mettl, one of the largest online assessment and testing platform in India that is used to measure, analyze and improve people skills. An MBA from IIM Bangalore, Tonmoy used iimjobs.com to recruit a Digital Marketing/Product Manager and even after he received over 800 applications, he took time out to take action on over 700 applications! Pooja is the HR Manager at Eko India Financial Services which provides a low cost infrastructure powered by innovation and technology to enable instant, secure and convenient financial transactions. 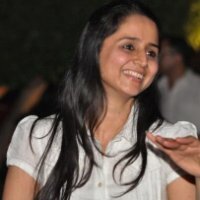 Pooja posted a total of 2 positions on iimjobs.com during the month of January and was one of our most active recruiters on the portal. Sathguru provides world class management advisory services to several facets of enterprises in the private, Government, Non-Government and academic sectors. As a Vice President at Sathguru, one of Pushpa’s responsibilities is to hire world class talent for her team. She posted a total of 3 positions in January mainly in the areas of healthcare advisory. 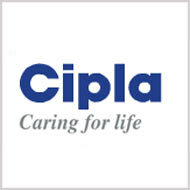 Rajat heads the Capacity Planning function within SCM at Cipla and he is a post graduate from Narsee Monjee Institute of Management Studies. 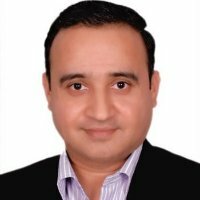 He used iimjobs.com to hire a Capacity Planning manager for his team and received over 400 applications for the same and was quite active in leaving a feedback on received applications. That’s it for our list of Rockstar Recruiters for last month. Check back next month to see which recruiter made it to this elite list for the month of February.